August is probably my favorite month with Norwex. Not only is this the month that I have the opportunity to catch up with some of my dearest friends, favorite people and Green Team members at the Norwex National Conference, but it is also the month we learn about Norwex’s newest innovations. 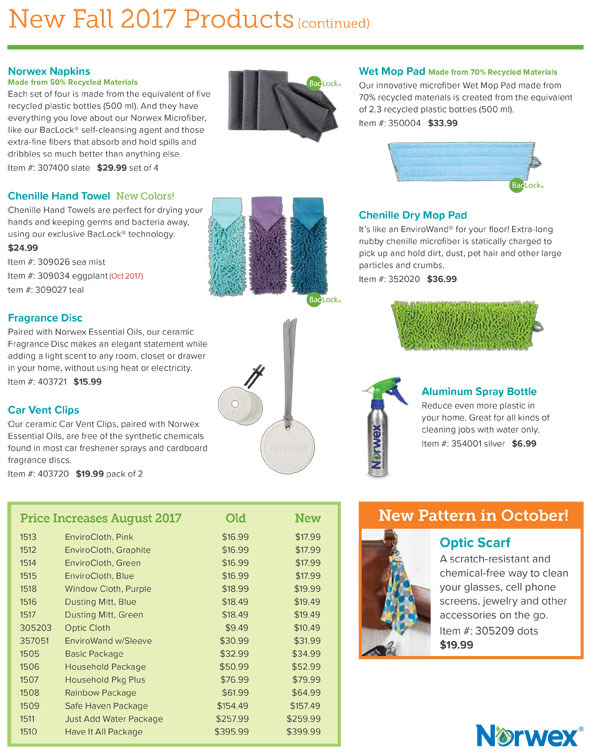 To me, it’s Christmas in August when Norwex comes out with its new product list! This company really is responsive to the needs of its independent consultants and customers. 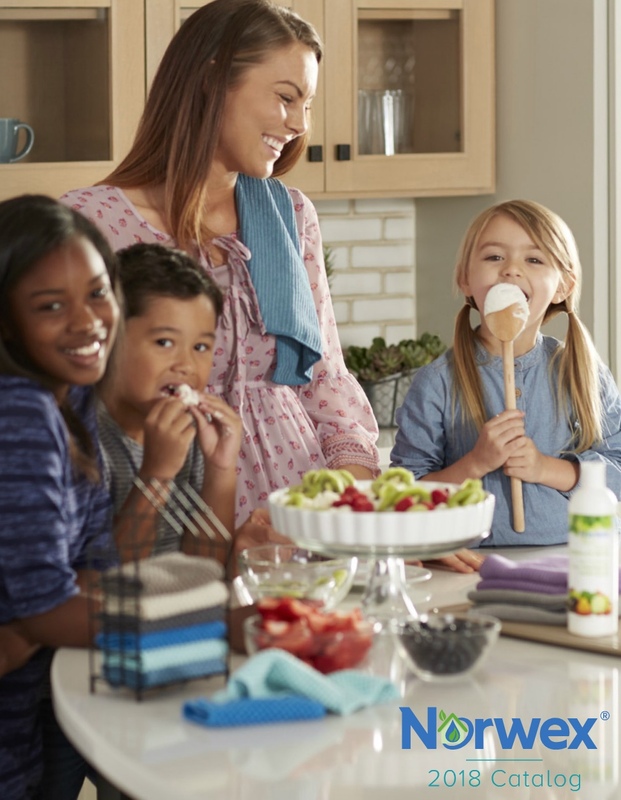 So each year, Norwex develops new products — based on our feedback — that help us to save even more time and money on cleaning and personal care, while radically reducing the chemicals in our homes. I am especially excited about some of the new items in 2017 that are sure to make my life easier. For example, I LOVE the new EnviroSponge! It’s scrubby on one side and has the soft EnviroCloth microfiber on the other. So, basically, this handy, little sponge will scrub, wipe and soak up just about any mess — using only water, no chemicals. Best of all, the EnviroCloth side of the sponge has the ability to remove up to 99 percent of bacteria from a surface when following proper care and use instructions. Plus, it is made with Norwex’s exclusive BacLock — our micro silver antibacterial agent— which quickly goes to work to self-purify and inhibit odors from bacteria, mold and mildew growth. According to a recently published study, the average kitchen sponge is teeming with bacteria and almost impossible to clean. The study suggests that microwaving a kitchen sponge or putting it in the dishwasher only makes things worse because these cleaning strategies kill the less powerful bacteria, leaving space for more dangerous bacteria to grow. That’s why sponges get so smelly — ick! Based on these findings, scientists recommend reaching for a new sponge and disposing of the old one instead of trying to clean it. Meanwhile, with the EnviroSponge, you can be confident in the power of BacLock to keep out the bacteria and smell. Just wash it and use it again for years to come! 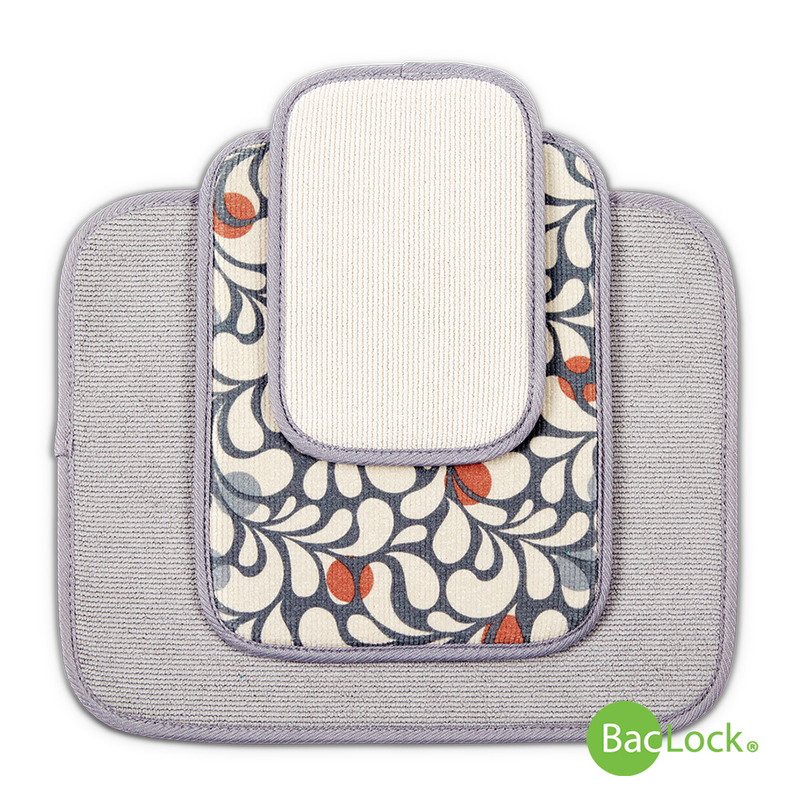 Another product I am thrilled about is the new Sink Mat. To me, the standing water that can pool around my kitchen sink when I’m washing up is DISGUSTING. 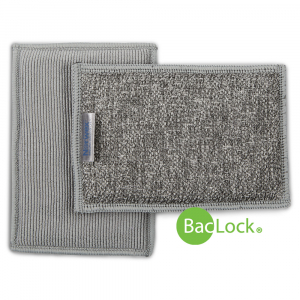 These foam and microfiber mats, also made with BacLock, are incredibly absorbent. Just place one near any sink or faucet to provide a convenient resting place for wet or messy glasses, cups, bottles, toothbrushes, bathtub toys, pet products and soap dispensers and they’ll soak up all the yucky water. 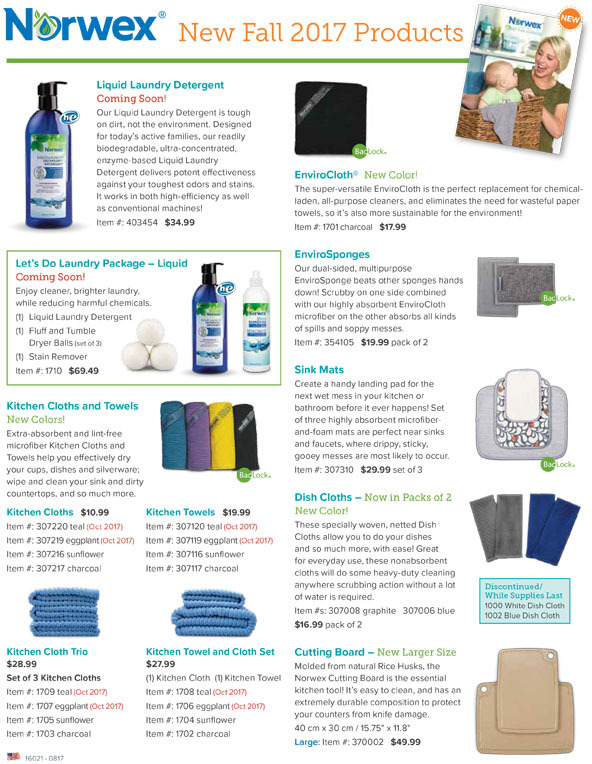 With each new product list, Norwex increases its ever-growing supply of options for our customers. New colors for our microfibers, new and improved mop pads, larger cutting boards, etc. are all part of the 2017 catalogue. 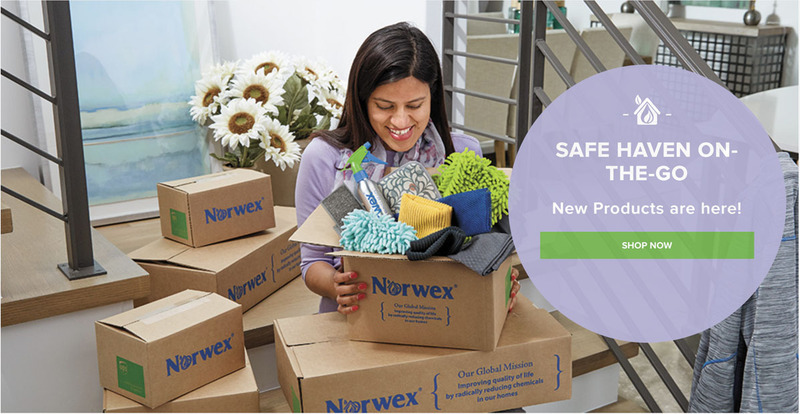 So, if you haven’t tried Norwex yet, August is the perfect time to start your journey toward making your home safe, while saving time and money. Please contact me for more information our new products and our full 2017 catalogue.